NutriHair for women | How do I manage Chronic Telogen Effluvium (CTE)? How do I manage Chronic Telogen Effluvium (CTE)? What type do I have? What is Chronic Telogen Effluvium (CTE)? Hair loss caused by a nutritional shortfall of iron can take years to develop and so cannot be corrected overnight. In fact without a supplement it may be many years after the menopause before a woman’s iron stores return to the level of a man of the same age. From starting a supplement regimen, the minimum time before a reduction in hair shedding is noticed is about 16 weeks. It may take considerably longer to see the benefit in terms of hair volume because of the time the hair takes to grow long enough to contribute to the overall hair volume. If you see nobenefit in hair volume after 6-9 months then you should seek professional help as there are probably other reasons for your hair loss. Eating a large portion of red meat every day would certainly raise iron levels but is not an option for most people. An iron supplement will achieve the same results but research has shown that to increase ferritin levels quickly, you will need a high strength iron supplement supplying 72mg of elemental iron a day, for up to 6 months. Thereafter at least 24mg of iron a day will be needed (or double this if you have heavy menstrual bleeding). For a significant number of women this level of iron intake will not have the desired effect unless they also take L-lysine plus vitamin C and vitamin B12 to aid the absorption of the iron. 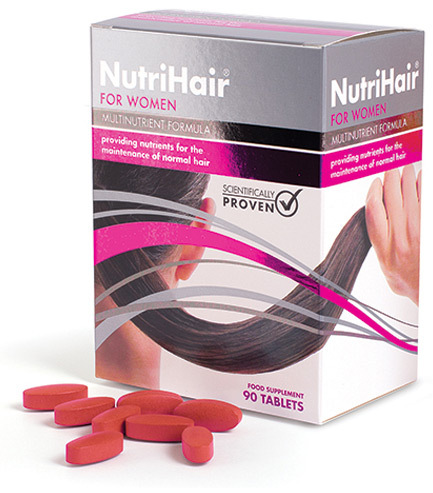 A supplement which has been developed to provide those nutrients at the specific levels is NutriHair®. 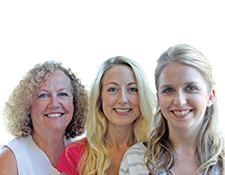 We have a large team of friendly, knowledgeable Nutrition Advisors who will be more than happy to discuss what’s best for you. This service is totally confidential and the advice is FREE. © 2016 Copyright - NutriHair ® for women . All rights reserved.